Could you discover an unclimbed peak? There are two distinct types of unclimbed mountains. The first are very technically difficult, with dangerous conditions or complicated access, and are few and far between. The second type features the ones that have never been climbed simply because no one's been there and had a go yet. And, with the right research, these peaks are open to the enthusiastic amateur…and that's you. But there's no database listing these mountains, you have to find them for yourself. If a mountain is easily accessible (within a day from road to summit and back) then it's probably been climbed. You needn't travel to Antarctica but look for somewhere that's at least a little way from populated areas. Look for ranges that are a little off most people's radars. Compare the number of ascents on Ben Nevis to its closest neighbour* and I bet they are separated by a factor of ten. The same goes for most other places in the world. A mountain gets a name for being the biggest, best or most beautiful and everything else gets neglected. Find somewhere popular then move your finger a little further across the map. Many mountain ranges lie out of reach due to their proximity to conflict areas but do a little digging before you dismiss a country on reputation alone. A key reason for there being so many yet-to-be-conquered hills on my visits to Kyrgyzstan and Russia is that it was not until the early 1990s that they became readily accessible to the rest of the world following the collapse of the Soviet Union. 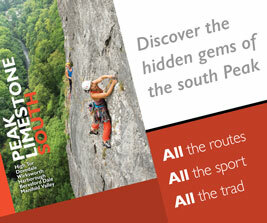 Search for any past expeditions in the region and get in touch with their organisers. Remember that it's only in the last ten years that every expedition has a website, Twitter account and facebook group. Look for tour companies to see if they can recommend any quiet areas or steer you away from the popular ones. Despite the boolean nature of the subject matter (climbed/ unclimbed) there's no exact science and it's possible that you may never know the status of your mountain, even after you've posed on its summit. Bear this in mind throughout your communications. Is the in-country agent telling you they're unclimbed so you use his services? Does the guy who climbed in a region 100 miles away ten years ago really know that the whole area's been climbed out? Canvas far and wide; don't rely on a single source. The Royal Geographical Society (RGS) has an excellent online Expedition Report Database. Find anyone who's been to your area or close to it. Read their reports. Plot their locations on a map (Google Earth) and see if they tend to cluster around the honeypot areas. Do they mention any peaks they failed to get up or any attractive neighbouring regions they'd have liked to explore? Look for the contact details in their report: everybody likes talking about past adventures. It's all well and good finding a remote peak that no one's ever seen, let alone summitted, but how do you know that you'll have a chance of getting up it? Realistically, you're unlikely to know for certain what is involved until you get out there. This is part of the adventure and, hopefully, adds to the excitement. But unless they are all above 7,000m, or you're expecting temperatures of minus 40, don't get too hung up on it. If you take any cluster of mountains, you'll find routes across a range of difficulties. Pick a base camp with access to a dozen summits and the chances are that you'll find some at your level. If you've got this far then it sounds like you have an expedition to plan. Book some time off work and remember to pack your flag. Glory awaits you. Tim Moss has made first ascents in the Russian Altai and first British ascents in the Quimsa-Cruz. He offers free expedition advice through his company The Next Challenge. His new book ‘How to get to the North Pole' will be published in 2012. More info: www.thenextchallenge.org. MEF grants to those planning first ascents. Geography Outdoors: the RGS department formerly known as the Expedition Advisory Centre. Explore Conference: an entire building filled with expedition legends. Local Operators: nothing beats local knowledge. Google for names and companies in the expedition reports.